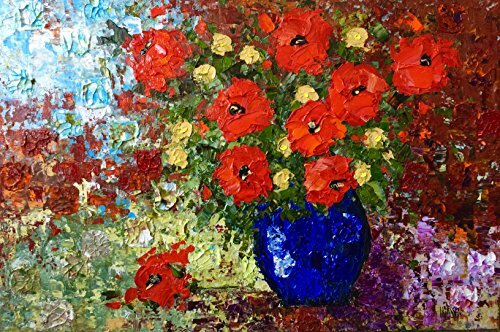 Dramatic painting of Poppies in a Blue Vase. This piece is mixed media in the impressionist style. Contemporary and gorgeous color. Works well in any decor. Quality paints and mediums. Sides are painted black, wired and ready to hang.